In the era of portable technology, Amazon has brought five revolutionary products to give you tremendous music experience regardless of considering place and time. However, the best speaker for Echo Dot will enhance the experience by connecting with the Amazon devices. The Echo Dot speaker will produce much better audio quality than the Echo Dot produces itself. Echo Dot is the best hands-free and voice-activated device to listen to the music and to search for anything on the internet. But connected with a speaker will amuse you by providing party quality sound whenever and wherever you want. As most of the speakers are wireless and portable, why will you deprive yourself of listening to your favorite soundtrack? Amazon has brought five amazing devices for listening to the music. Among them, Amazon Tap is considered the best speaker for Echo Dot. It comes with a hands-free mode to compatible with Amazon music, Pandora, Spotify, TuneIn, and iHeartRadio. The 360° Omni-directional audio provides you with immense experience. The built-in dual stereo speakers with Dolby processors produce crisp sound with an extended bass response. 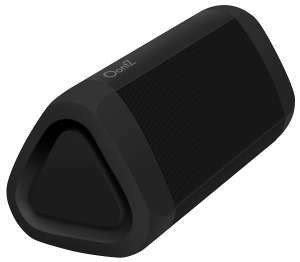 It gives you a rich and full-range sound with the Wi-Fi enabled speaker. 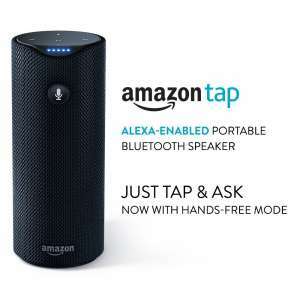 Moreover, it uses Amazon voice-activated service when it connects to the internet. So, listening to the news, playing music, getting weather reports and even ordering pizza is just one step away. And now the battery of the device. The lithium-ion made battery provides up to 9 hours of hands-free mode playtime. As the charging cradle is included with the package, you are no hurry to recharge the device. However, the low battery indicator will remind you if the battery level gets down under. Moreover, what makes this so special? I think the continuous development of the Amazon product will amaze you. It’ll change the experience of your listening to the music. The compact design and lightweight makes it portable to anywhere you need. You can take it in your backpack when you’re outing or get going. Recent update confuses the users to configure with the settings. However, once it is set, everything goes well. MEGABOOM offers you a 360° blast free heart-pounding sound wherever you go. Its deep bass is enriched with freakishly fantastic sound. The ultimate ears speaker is compatible with all available devices such as tablets, smartphones, and PC and any other audio playback devices. However, as the wireless speaker is waterproof, it enables you to start the party at the pool, beach, waterfall or any watery area. The speaker may get dirty and rinse it off, you can start after a while. So, why get late to start the party! Crafted from the robust materials, MEGABOOM looks gorgeous and spontaneous. Though it’s not compact in design, it packs more punch. The bold and beautiful design will enhance the beauty of your room. Moreover, it is unbelievably lightweight to carry around in your backpack for outdoor activities. Beyond that, 100 feet range makes it the best Bluetooth speaker for Echo Dot. You can go around anywhere in your house without losing the connection. Also, the compact battery provides 20 hours playback period for the ultimate sound experience. If anyway the battery charge is running out, don’t worry to plug in the ultra-fast USB charging. Finally, the MEGABOOM app will make everything easy for you. 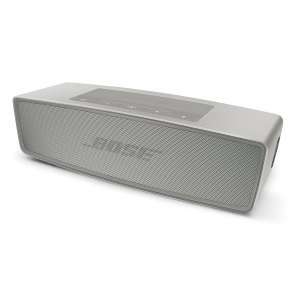 Bose Soundlink Mini Speaker II is a compact but all-in-one product to call. It comes with significant changes in everything such as sound, performance, bass, and quality compared to the same size and class. Though it is simple and small in size, the Denon Envaya Mini sized driver produces deeper and richer bass with meaningful sound quality. Bose has a tremendous tradition of developing the audio industry. Though it seems that pairing is quite troublesome for Bluetooth devices, Bose makes it automatically connected to the nearest Bluetooth activated devices. So, ultimately you have nothing to do to connect the device except turning on the speaker. After turning on the speaker, a sweet voice will tell you what to do next. As the pearl edition is the improved product of previous SoundLink Mini, here is the improved feature. The new Bose Pearl edition has up to 10 hours playback period which was previously 7 hours. Moreover, you can recharge the speaker with the included charging cradle or micro USB at any time. The ergonomically designed echo dot speaker has promptly 30 feet range. Also, the wireless echo dot speaker will let you carry around the speaker anywhere. Finally, here is the kicker. The aluminum made enclosure is durable enough to abstain you from buying a new one. Sonos Play 5 is the largest speaker offered by Sonos for streaming music from Spotify or any other music streaming service. It allows you to play different songs in different rooms. On the other hand, you can play a single song by synchronizing perfectly. The speaker is compatible with Amazon Echo and Alexa-enabled devices. Featuring six class-D amplifiers with six dedicated speakers, Sonos play 5 delivers crystal clear, natural sound. The sound is stereophonic with zero distortion. You can hear each different sound from instrument, voice or sonic detail. So, go up the volume as you wish. 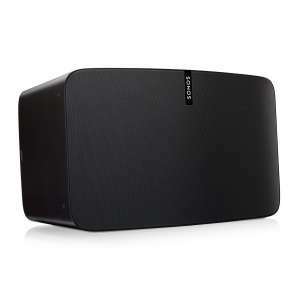 In addition to the six speakers, Sonos Play 5 comes with three powerful woofers in a wholly sealed architecture. So, the precise, rich and deep bass is ensured with the speaker. Also, the touch sensor works well to control volume or to change the soundtrack. So, you’re worried free if you have no access to your phone or it is out of reach. As Sonos system is restrictive, it is an easy way to set up the wireless speaker. It will take only five minutes to complete the set. Though the speaker has no voice control like Siri or Amazon Alexa, you have nothing to worry about running the speaker. The built-in app will take you a long way to enjoy the best music. So, what amuses me a lot? It’s apparently the TruePlay, the Sonos’ audio optimization software. The software is the built-in microphone of your apple products. Sorry to say that, the android version isn’t still released. Bose leads the audio industry through innovative products and services. The Bose SoundLink Speaker II is the upgraded version of the previously released SoundLink Mini Speaker. The lightly curved aluminum made body is so small to grasp in hand. However, the manufacturing quality is as usual perfect. The wireless speaker is made of high-quality aluminum materials. The speaker is a complete package from listening music to receiving calls. On top of the speaker, you’ll find all buttons to control the power, to change the soundtrack or to increase or to decrease the volume. You can activate voice assistance like Amazon Alexa or Siri from here. Also, a built-in microphone is there to help you receive the phone call. By the way, the range of the Bluetooth is efficient 30 feet. Also, the compact design and lightweight makes the speaker portable to anywhere. 10 hours battery playback will allow you to continue the party at the beach or at the outdoor activities. Let’s not forget the quality of the speaker. It produces high-quality sound with rich and deep bass. The exceptional sound quality will change your experience of listening to the music. Moreover, the massive sound creates no distortion, even at high volume. OontZ Angle 3 Plus edition is a perfect combination of quality, style, features, and ease of use. The next generation speaker delivers crystal clear distortion-free sound. Angle 3 Plus comes with dual precision drivers crafted with Neodymium inside the speaker to provide Mids and Highs stereo sound. Moreover, 10 watts power output ensures loud volume as you wish. The speaker is not only stylish but also ergonomic. The ultra-lightweight 13 ounces weight makes the wireless speaker ultra-portable. Surprisingly, the 6.5” × 2.75”×2.75” dimensional Bluetooth speaker for Echo Dot provides 30 hours playback with a full charge. So, you are worry free when you are outing to the jungle or spend a night with your friends on the mountain. Never miss the party when you have your Angle 3. Here is something really interesting. The OontZ angle 3 is a combo package of rainproof, splash proof and shower proof. So weather abnormality for any reason and any season can do no harm to the speaker. So, listen to your music when you’re in the shower. Fear of injecting water into the speaker? No way to damage your favorite audio partner. To top it off, the best speaker for Echo Dot comes with voice assistance for hands-free operation. It can connect quickly over Bluetooth to your devices. So, connect and play your music. Also, the built-in mic helps you receive the call when music is on. Moreover, the AUX cable included the package makes it the best wired speaker for echo dot. JBL flip series 3 is an award-winning all-weather friendly audio companion speaker. The next generation wireless speaker delivers powerful, room-filling stereo sound. 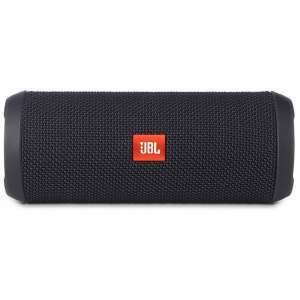 Crafted with fabric material and rugged rubber, JBL flip 3 outlasts your adventures for a long time. However, the wireless series can connect up to 3 smart devices, i.e., smartphones, tablets and personal computer at a time. It has built-in 3000 mAH Li-ion rechargeable battery. The battery supports up to 10 hours playback period. Moreover, you can add more speakers to the system to amplify the listening experience. Besides crystal clear sound, you can receive calls from your speaker when music is playing. The noise canceling and echo canceling features of the speaker allow you the smooth connection when speaking over the smartphone. And that’s not the all. The speaker is exceptionally designed for splash proof. That means you have no tension about rail or spills. You can now use your audio producer in the rain. Remember, never submerge it under the water. Also, the dual external passive radiators demonstrate powerful bass to make you feel it. Splash-proof design for horizontally and vertically use. Beats has introduced a new generation for the premium listening experience. 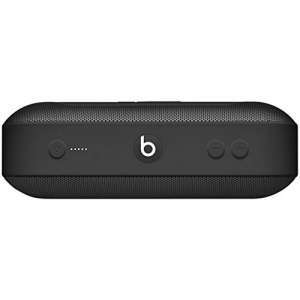 Beats Pill+ is another addition to the family of the revolutionary generation to provide immense experience. Though it has two previous version with same name Pill and Pill 2.0, the Pill+ one is completely different. In fact, it is the first speaker to produce the bigger sound than its size. The Beats Pill+ supports up to 12 hours playtime with a single 3 hours charge. However, you can recharge your mobile phone or external music device from Pill+ through lightning cable. The speaker has a built-in LED display to let you know the status of the battery charge. The stereo-active two-way crossover system of the speaker provides optimized sound. It covers dynamic ranges and clarity across all genres of music. So, whichever genre you like to listen from hip-hop to classic or from rock to R&B, Pill+ will satisfy you with room-filling, rich and clear sound. Moreover, the distinctive use of woofer and tweeter in the same acoustic mechanics provides professional studio recording sound experience. Needless to say, Apple knows your lifestyle. With the sophisticated design, Beats Pill+ fits your lifestyle perfectly. The multifunctional “B” button works well for playing, pausing, skipping or controlling phone calls. The enhanced speakerphone ensures call clarity when you are talking over the Bluetooth speaker. The Vaux won’t amaze you with its audio performance but creates an incredible experience is an association with Amazon Echo Dot. The cordless second generation home speaker turns your echo dot from a static device to a smart speaker to fill the room with vibrant and crystal clear sound. Now, you can enjoy music throughout your home without carrying your echo Dot speaker. The lithium-ion battery provides backup for 6 hours of uninterrupted playtime with a single charge. The built-in rechargeable battery will help you cut the cord which sometimes seems awkward. Simply plug the internal connectors and play your music. Moreover, Vaux always delivers premium quality sound with great looking. It is wrapped with beautiful acoustic fabric to look live and seamlessly. It fits with any design perfectly to your house. So, setting up the speaker in your living room, kitchen, office or kid’s room will demonstrate the elegance and affection to the music. Furthermore, the speakers have two built-in drivers along with a passive radiator. Both of them helps to produce impressive sound quality and deep bass. Even so, the silicon cover abstains you from buying a new one by ensuring the durability of the speaker. Also, it comes with a wired connection for smooth sound clarity which makes it the best wired speaker for echo dot. Take Echo Dot to many rooms without plug it in but by adding the speakers. 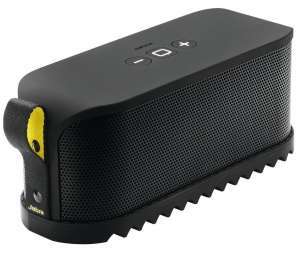 Jabra Solemate is a smaller Bluetooth speaker to pump out a fair amount of volume in a reasonable price. Though loudness doesn’t always mean to the excellent quality, Jabra Solemate is a powerful but small performer. It is a complete package of audio fun and kitschy design. The Solemate comes with 2 acoustic tweeters along with a powerful subwoofer. It also has a bass radiator to provide vibrant sound. Likewise other top quality speakers, The Solemate makes it simple to receive the call while music is playing. You just need to push the center button to receive the call. After ending the conversation, the music will be played automatically from the very end. However, if you are a freaky traveler but an active music listener, this one is the perfect companion. It is free from sweat, dust, and splash. So, take it anywhere at any time to enjoy your favorite music. Don’t worry about the charge. A single charge will last up to 8 hours. However, you can check the battery status from the status display. The Jabra Solemate is a great-sounding Bluetooth speaker, but it isn’t great for taking calls. Though finding the perfect combination of Amazon Echo Dot is quite tricky, the above speakers are the best solutions. However, the original echo has a virtual assistant to help you in connecting with the speaker to fill the room with decent sound. Keep reading, and you’ll find the way to connect Echo Dot with the speaker. So, let’s get to the work. Here, you have to follow something for the perfect connection. For the best connection, use the best speaker for Echo Dot with your Echo devices. Use voice assistant and say “Go to settings.” You can do it manually by swiping down from the screen. Select Bluetooth and enter pairing mode. The available devices will be on the screen. Now select your devices and connect the speaker. After connecting successfully, Alexa will tell you the connection is successful. Turn on the pairing mode of the Bluetooth speaker. Now open Alexa app and go to the menu to select Alexa devices. After selecting your device, now select “pair with a new device.” Your device will enter into the paired device. When you see your device in the paired list, say “connect” to active your Bluetooth speaker. You’re all set to go now. 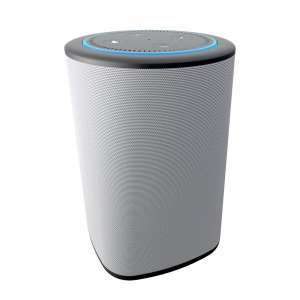 While Echo Dot is a unique technological advancement, most of the wireless speakers can be compatible with the latest technology. The voice activated device will bring speed to your life by hands-free operation in music, and other voice-activated commands. Although Echo Dot is the latest technology, all the speakers above discussed are modernly designed compatible with it. The portable speakers are selected to test different factors to give you the best speaker for Echo Dot. They come to moderate high quality sound to enhance bass feature for the best listening experience. Also, the “easy set-up guide” will help you to connect your speaker to the Amazon Echo Dot efficiently.